Roll hardness meter. Handoperated, wireless communicating paper roll profiler. To be used for paper and machine rolls, as well as for plastic film roll or aluminium foil roll analysis. The penetration of the hammer is also measured providing new interesting information about the measured surface. Measurement results are saved to a standard SD card. The instrument offers also wireless data transfer, using Bluetooth or wired with the USB cable. 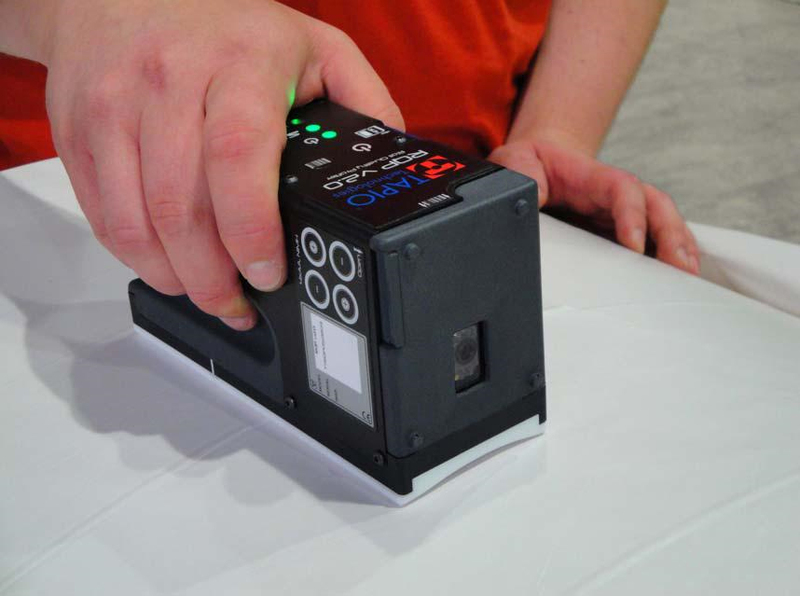 Easy sample identification with the built-in barcode reader.